The Paradise Studios are just a 5-minute walk from the seafront promenade, beach Stegna, cafes. The "secret beach" is just beyond the cape. "Grande Blue" restaurant is also nearby. I liked fantastic sunrises. There are lemon trees and exotic flowers around of the studios..There are all of goods, necessary for comfortable rest in a room. It is a true relaxing atmosphere in this place, I think! Laurence is very sociable and careful. Everything ! Hospitable owners: Eleftherios and his wife - elegant, intelligent, and kind Laurence! Very helpful and kind host. Considered all our requests and provided all information we need. Great view from second floor where we lived. Great location, 5 min to the sea by feet. Stegna is lovely place in the middle of island. Thanks for wonderful vacation! Owners very nice. Location good. Close to the beach, shops and restaurants. If you like quiet and peaceful setting we recommend this place. Very close to the beach. Really beautifull and safe place. Everything was very nice - starting from the pick up from the airport. The apartments were new, clean and with beautiful view! Also, we liked the special price for the umbrella and sunbeds at the beach for Paradis guests. That was a pity that we were staying there only for a week. Thank you very much, dear Hosts! Logement spacieux et bien agencé. Propreté impeccable. Très proche de la plage. Прекрасно все: замечательная хозяйка, великолепное расположение, отличный пляж в 3-х минутах и здесь же магазинчики. Великолепное место для отдыха, отлично для любителей плавать. Великолепные возможности: кухня, свой балкон с территорией, конечно ванная комната; все с отдельным входом. Реально райское место. Очень хочется вернуться. L'appartamento era confortevole e grazioso con una bella cucina e il letto era molto comodo. La pulizia fantastica e molto efficiente, inoltre il posto è strategico, lo consiglio!! Lock in a great price for Paradis Studios – rated 8.8 by recent guests! 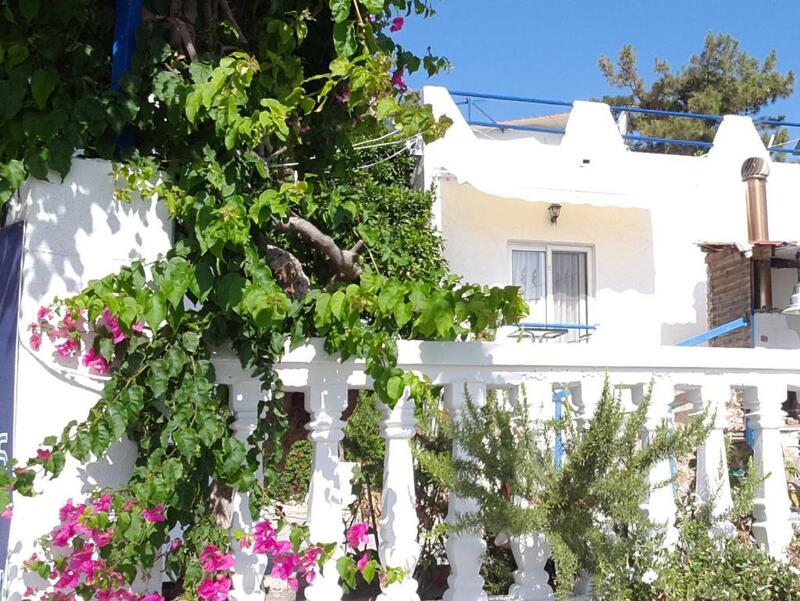 Paradis Studios is located in Archangelos and offers self-catering accommodations with Aegean Sea views. Free WiFi access is available in all areas. Apartments and studios at Paradis feature a satellite TV, air conditioning and a seating area. There is a kitchenette with a refrigerator and cooking hobs, and a private bathroom either with a bath or shower. At Paradis Studios you will find a garden. Activities that can be enjoyed in the surroundings, include fishing. Sunbeds and loungers are available at the beach at discounted rates. Rhodes International Airport is located 16 mi from the accommodations. Free public parking is possible nearby. When would you like to stay at Paradis Studios? Please not that air-conditioning is available at an extra charge of 6 € per day. Kindly note that that air-conditioning is available at an extra charge of 6 € per day. Το κατάλυμα μας ξεχωρίζει για τον ωραίο του κήπο, για την ηρεμία που χαρίζει στους πελάτες και την υπέροχη και ζεστή φιλοξενία μας. Το κατάλυμα μας βρίσκεται σε μια πολύ ήσυχη γειτονία που βρίσκεται μόνο 50 μέτρα μακριά από την θάλασσα. House Rules Paradis Studios takes special requests – add in the next step! Paradis Studios accepts these cards and reserves the right to temporarily hold an amount prior to arrival. Please note that there is an extra charge of 6 € per day per room for the usage of air conditioning in every room. Please inform Paradis Studios of your expected arrival time in advance. You can use the Special Requests box when booking, or contact the property directly using the contact details in your confirmation. No information about the additional air-conditioning fee. Local beach is not good choise for swimming. the bed... it was really lagre, but not very comfortable.